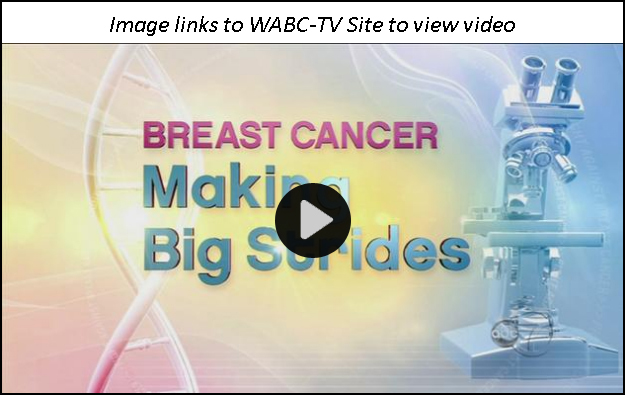 On Sunday, October 5, 2014, an innovative molecular diagnostics technology from MetaStat, Inc. (MTST-OTC) was spotlighted in a WABC-TV news special. This afternoon, we released a new Executive Informational Overview (EIO) on MetaStat, Inc. (MTST-OTC). This comprehensive, 68-page document updates an earlier EIO published on MetaStat in January 2013. The Company has achieved several significant milestones over the past year and a half, which are each detailed in the new EIO along with current product development and market descriptions for MetaStat’s diagnostic and therapeutic programs. MetaStat is a life sciences company commercializing a new approach to reliably determine a patient’s individual risk of developing systemic metastatic cancer, and then to help reduce this risk through active intervention of the metastatic process. The Company’s technology is based on a proprietary knowledge of the mechanisms that govern “metastasis” (the spread of cancer away from its primary site in the body). The technology centers on the role of the Mena protein in tumors, and has over 15 years of study from major medical institutions including MIT, the Albert Einstein College of Medicine of Yeshiva University, Cornell University, and the IFO-Regina Elena Cancer Institute. Recent clinical studies validating MetaStat’s product candidates have also been performed by the Yale University School of Medicine, the University of Toronto, and others. MetaStat is initially advancing two diagnostic platforms targeting breast, prostate, lung, and colorectal cancers, which could enter the market as early as 2015, as well as a therapeutic program. MetaSite Breast. MetaSite Breast is a clinical laboratory assay (or test) to predict the likelihood of an early-stage breast cancer patient’s tumor spreading to distant body parts. An important distinction between MetaStat’s technology and whole genome-based assays such as Oncotype DX® and other approaches is that MetaStat focuses on predicting the risk of cancer metastasis based on the tumor’s underlying mechanisms. Historically, cancer cells have entered the blood vessels via unknown means. The research supporting the Company’s technology has sought to identify the structural and behavioral mechanisms that allow cancer cells to move and determine how this information can be used in prognosis. To MetaStat’s knowledge, its technology is the only technique to focus on such mechanistic markers. MenaCalc. The MenaCalc diagnostic technology platform is intended for use in determining individual levels of variants of the Mena protein (called “Mena isoforms”) in cancer tissue. Mena has at least five isoforms, and measuring the relationship between these variants can help create an individual metastatic profile as early on in disease progression as possible. Over time, patients’ Mena isoform profiles could identify trends and detect stability or progression of disease as well as detect the efficacy of various therapies in real time. MetaStat is developing multiple product candidates based on the MenaCalc platform to target common epithelial cancers: (1) MenaCalc Breast; (2) MenaCalc Lung; (3) MenaCalc Prostate; and (4) MenaCalc Colorectal. MenaBloc. As evidenced by the high mortality rate of metastatic cancers, there is an unmet medical need for therapies based on a solid understanding of the process of metastatic disease, including techniques to kill or stop the spread of metastatic cancer cells or to disrupt individual steps in the metastatic process. A MenaBloc therapeutic may ultimately prevent metastasis among high-risk patients when it is administered as a maintenance therapy after surgery or in conjunction with chemotherapy and other targeted therapies. In December 2013, MetaStat licensed a collection of alternatively spliced therapeutic targets that have a role in the epithelial to mesenchymal transition (EMT) of tumor cells. EMT is an early event in the metastatic process, which also contributes to therapeutic resistance in breast and other cancers. MetaStat believes this discovery presents a novel opportunity for new cancer therapeutics that target alternatively spliced oncogenes. The Company believes that its function-based diagnostics can inform better treatment decisions by identifying patients with a high risk of systemic metastasis who need aggressive therapy and sparing patients with a low risk of metastasis from painful and costly therapies. The National Institutes of Health (NIH) recently concluded that a primary goal in cancer research should be to accurately define patient risk categories with the goal of being able to administer the level of treatment needed for a successful outcome. Click here to download and read the full Executive Informational Overview, which includes a discussion of the recent milestones listed below. Yesterday, Crystal Research Associates published a 12-page Quarterly Update on MetaStat, Inc., a life sciences company developing next-generation diagnostic and therapeutic products for metastatic cancer. MetaStat is currently focused on three key initiatives within its pipeline: two diagnostic platforms (MetaSite™ Breast and MenaCalc™) as well as one therapeutic program (MenaBloc™). These candidates are overviewed on pages 5-8 of MetaStat's Quarterly Update.